(GlobalNews) A medical marijuana company says it is expanding production with a massive new grow facility at the Edmonton International Airport. Aurora Cannabis says the airport is close to customs for importing the supplies and equipment it needs and the location will make it easier to export pot to its customers in Canada and eventually to other countries where marijuana is legal. 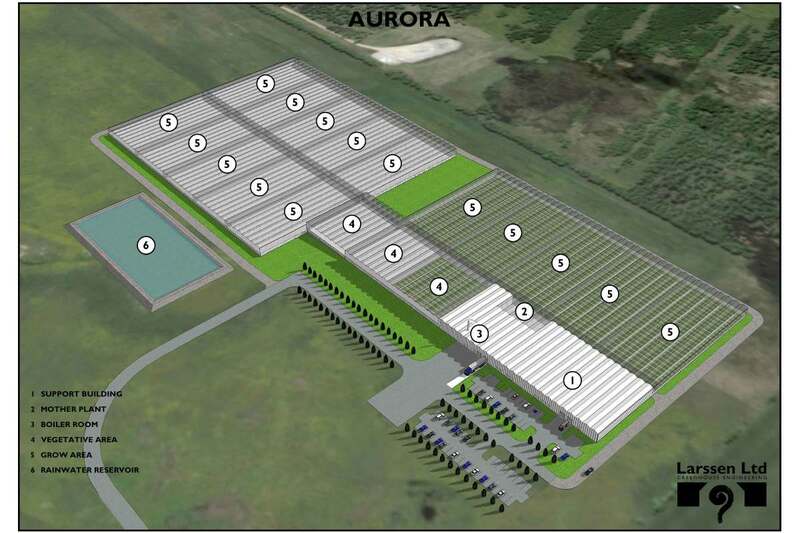 The company says the 74,000-square-metre facility, called Aurora Sky, will be larger than 16 football fields and will be capable of producing more than 100,000 kilograms of cannabis per year. Aurora vice-president Cam Battley said the new operation will help meet growing demand for medical marijuana and position it to supply recreational pot once it is legalized by the federal government. Battley said it also chose the airport location on federal land for its warehouse space, security and its proximity to shipping and courier companies. Heather Hamilton, spokeswoman for Edmonton International Airport, said the lease agreement with Aurora will earn money for the airport, help attract more businesses and bolster the region’s economy.